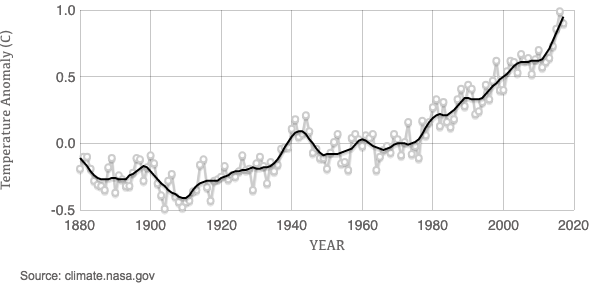 This graph illustrates the change in global surface temperature relative to 1951-1980 average temperatures. Seventeen of the 18 warmest years in the 136-year record all have occurred since 2001, with the exception of 1998. The year 2016 ranks as the warmest on record.